Orijen Original is the best dog food for Chihuahuas after coming out on top in the key metrics of quality ingredients, flavor, healthy results, user feedback, and price. While it’s true that Orijen is the most expensive dry dog food, we do believe that superior ingredients are worth the extra price. 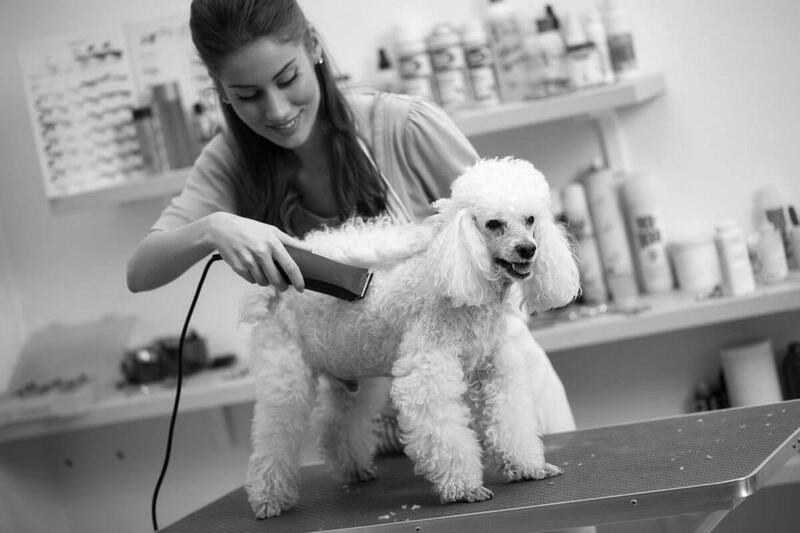 Shiny fur and neutral doggy breath and odor are the hallmark of a healthy Chihuahua on Orijen Original. Chihuahua is a toy breed dog. This is how the AKC breed standard describes the Chihuahua: “A graceful, alert, swift-moving compact little dog with saucy expression and terrier-like qualities of temperament”. Chihuahuas are saucy and terrier-like in the way they are highly confident and willing to challenge strangers and dogs many times its size. They are always alert and swift-moving because of their high metabolism. High metabolism is why Chihuahuas require more calories than other toy dogs. In general, smaller dogs require more calories per body weight than larger dogs. Most toy dogs need about 40kcal per pound but an active Chihuahua could use up to 60kcal per pound. Imagine if a Chihuahua is a 160-lb human being – he would need massive 8,000 calories a day (or 16 Quarter Pounders with Cheese). The best dog food for Chihuahuas contains high-quality protein and complex carbs. The blood sugar of Chihuahuas can drop precipitously due to their high metabolism. Complex carbs like brown rice and sweet potatoes do not break down into blood sugar as quickly as simple carbs like white rice and potatoes. The more controlled release of complex carbs would help a Chihuahua maintain its blood sugar level, while protein gives the dog even longer term energy reserve. Poultry is the best source of protein for Chihuahuas. 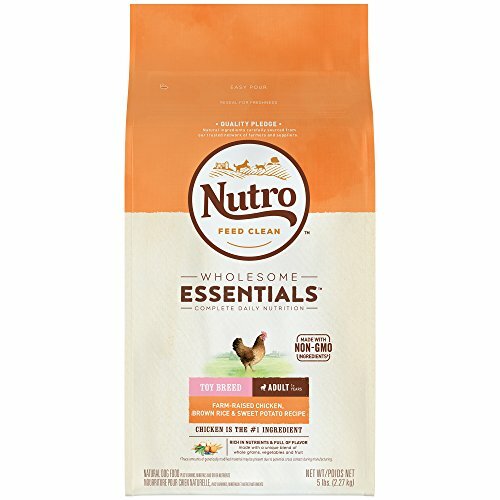 Nutro’s Wholesome Essentials series aims to give a dog all the essential nutrients. 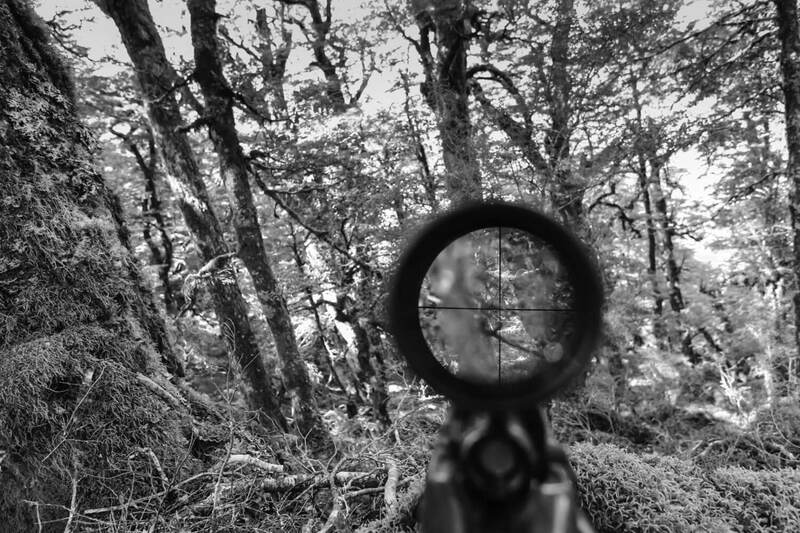 The company’s motto is “Feed Clean”, as in non-GMO ingredients in their most native form. This series is tailored for different dog sizes and life stages. The Toy Breed formula is perfect for a Chihuahua’s everyday needs. The top ingredients are chicken, chicken meal, and whole brown rice. Chicken is recommended for toy-breed dogs because if toy dogs were to live in the wild, what animals would you expect a pack of Chihuahuas to hunt? Chickens! It certainly wasn’t going to be cows or goats. This formula is complete with vitamins, minerals and antioxidants to support your dog’s health and immune system. The protein and fat contents are 25% and 16%. The calorie count is 415kcal/cup or 3701kcal/kg. This formula is not grain-free but it’s gluten-free and made with no artificial flavors, colors or preservatives. Fully 90% of dog owners rate this dog food 4 or 5 stars. 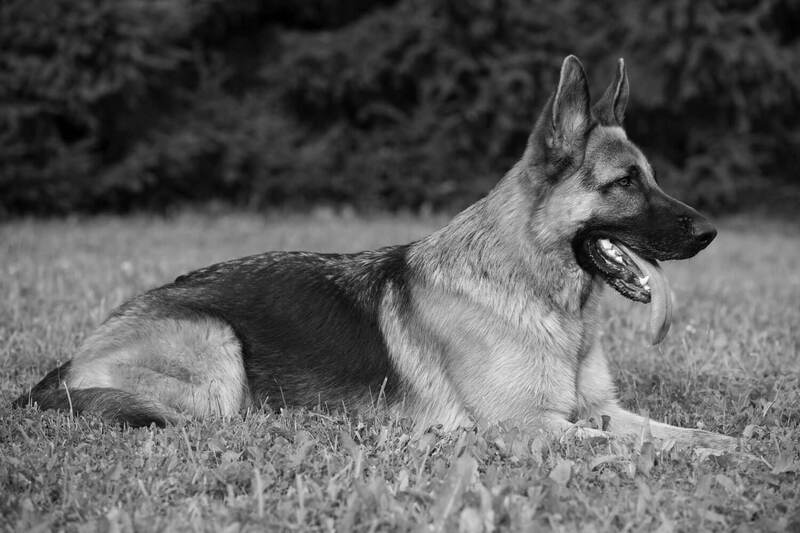 Wellness is arguable the most well-known and highly regarded premium dog food brand. 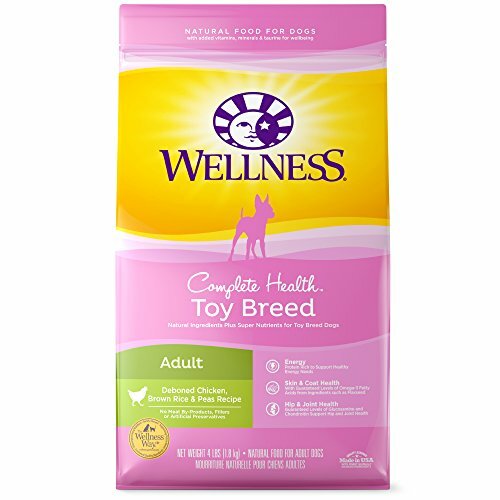 Wellness has an extensive lineup of interesting dog food and treats and the company conducts itself with absolute class in everything it does. 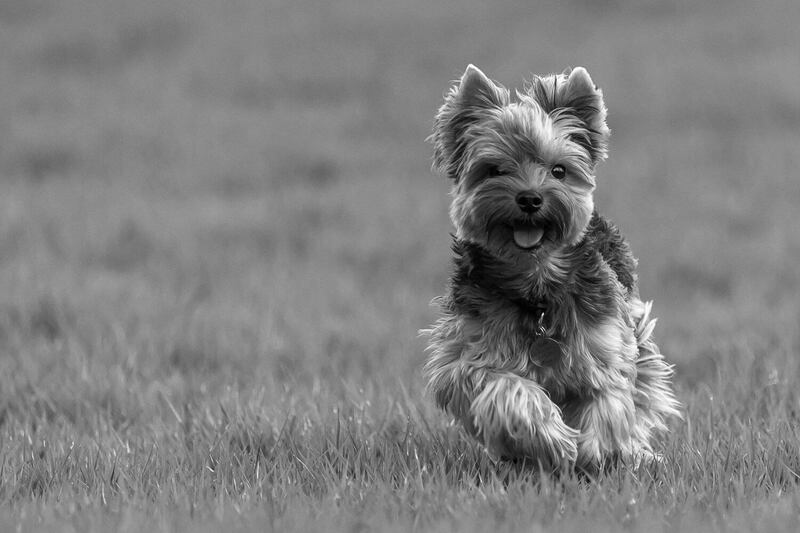 Even as some of its fiercest competitors such as Merrick’s have sold out to multinational corporations, Wellness remains a family-owned business committed to making quality dog food in what they called “The Wellness Way”. The Complete Health series is Wellness’ most successful line and we recommend the excellent Toy Breed formula for Chihuahuas. In fact, a Chihuahua is depicted on the front center of its beautiful pink and yellow bag like a curvaceous cover girl. The top ingredients are deboned chicken, chicken meal, turkey meal, and ground brown rice. It has good protein content at 30% and fat content at 17%. The calorie count is an immense 502kcal/cup – this is a power meal in small bites. This dog food is also made with a bunch of fruits and vegetables like blueberries, tomatoes, carrots, spinach, and apples. It also has high contents of Omega 3 and Omega 6 fatty acids. The kibble flavor throughout the Wellness line is tops in the business to please even the most finicky eaters. Rare is the dog that refused a Wellness meal. 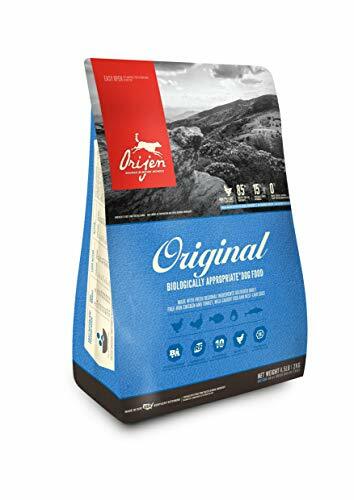 The venerable Orijen Original dog food is made with fresh regional ingredients. We know of many reputable Chihuahua breeders and show dog owners who swear by Orijen for their pets, show dogs, and breeding stocks. 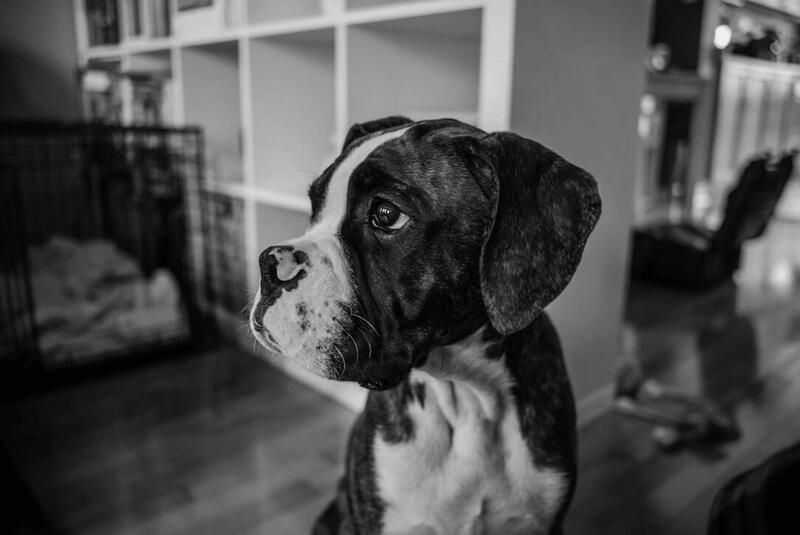 Orijen Original is formulated for dogs of all sizes and all life stages. The most industrious dog food companies have moved away from breed and life-stage specific formulas to concentrate on the best dog food for all dogs. It makes sense if you think of it this way. A teenage boy in China can get all the protein he needs from a nice cut of steak just as well as an upper-middle-age woman in England can. Once you’ve seen the happiness, confirmation, and luxurious coat of a Chihuahua that feeds on Orijen Original, you would not only agree but immediately consider a switch. This dog food is made with free-range chicken and turkey and wild-caught fishes. The kibbles are medium-size but quite a bit larger than typical toy dog kibbles. Healthy Chihuahuas have powerful jaw and strong teeth and they can crunch these highly edible kibbles like nothing at all. This high protein (38%) formula has 18% fat and 449kcal/cup. From looking at the quality of ingredients and the healthiness of dogs living on this food, we conclude that Orijen Original is the best dog food for Chihuahuas. 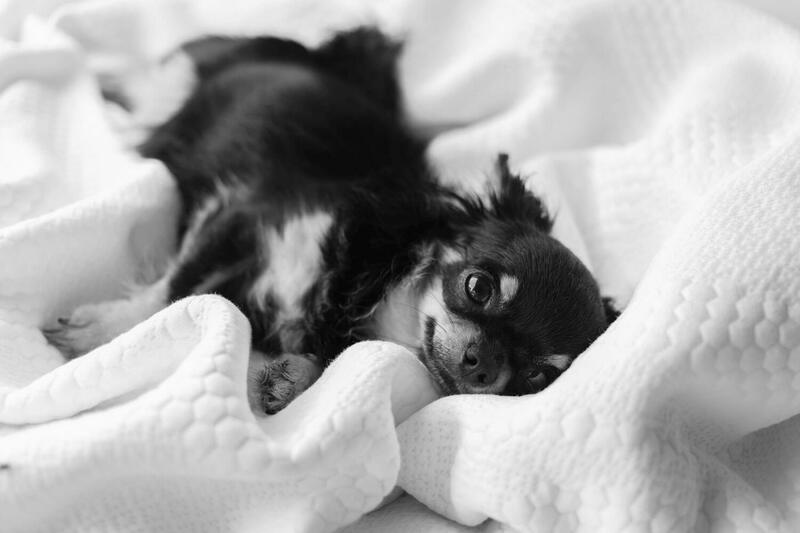 The exceptions are if your Chihuahua has elevated kidney values or if the dog has bad teeth from old age (since many of them can easily live to 15 or more). Then the high protein and larger kibbles may not be so suitable. In the case of kidney disease in early and middle stages, we recommend the Nutro Wholesome Essentials with just 25% protein. Please consult your vet for the best food if your dog is in the later stages of kidney failure. If your dog has any difficulty with larger kibbles, you can try soaking Orijen kibbles in water and mush it up. The problem is we suspect a classy Chihuahua might not want to touch mushy chow. If that’s the case, go with the equally classy Wellness Complete Health Toy Breed. Wellness is also a good choice for really finicky eaters. It’s the best best-tasting dog food around, so give it a try if all else fails. A dog with a high metabolism can still put on excess weight if it’s given too many calories. Chihuahuas can be finicky eaters but they’re so appreciative of certain treats that many owners couldn’t help but to go overboard. The only way to figure out a Chihuahua’s proper calorie requirement is by trial-and-error measurement. Start with 50 calories per pound. For example, if the dog food is 500kcal/cup (such as the Wellness Toy Breed) and the dog weighs 5 pounds, start by giving the dog half a cup a day (which is 250kcal for the day). Refrain from giving any treats during this period. After a week or so, increase the calories if the dog has lost weight and decrease the calories if the dog has gained weight. You should be able to nail down the calorie requirement after a few weeks. After that, you can resume giving the dog a judicious amount of treats, and if you feel you’ve given too many treats, just decrease the amount of dog food for the day.